The Tomb Raider movies starring Angelina Jolie – one good, the other not so great – were big box office hits, so it’s clear that plenty of moviegoers are anxiously waiting for next year’s Tomb Raider film. This movie will star none other than Alicia Vikander, one of Hollywood’s top-billed actresses who won an Academy Award back in 2015 thanks to her great role in the movie The Danish Girl. 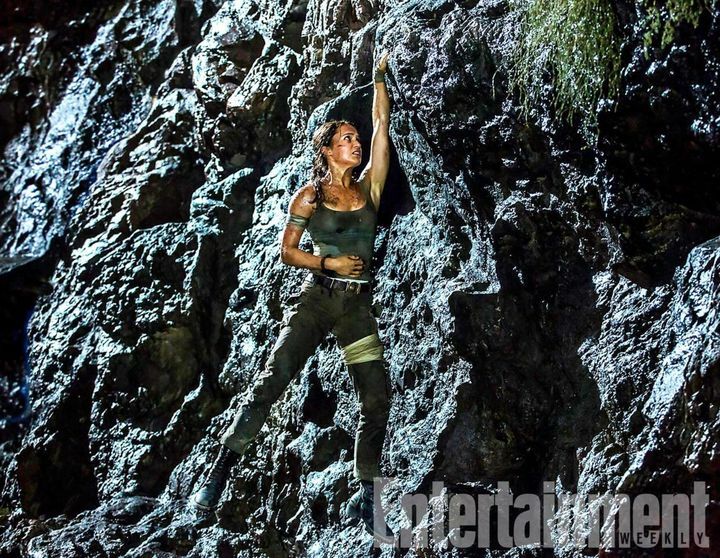 Speaking to Entertainment Weekly, the Swedish actress revealed more details about the upcoming Tomb Raider movie, and the pains she had to go through the film’s shooting. Actually, the actress revealed that one scene was shot in London’s venue for Olympic rafting, and that she was bound during the filming of that particular scene. “They threw me down that river — with my hands tied — about 50 times. I didn’t need to act, just react!”, said Vikander. Also, director Roar Uthaug (who’s helming this Tomb Raider movie) is doing lots of water sequences in this film like he did in his disaster flick The Wave, which also put the actress through a lot of stress during filming. “I spent my last two days of shooting in a tank and that was my 16th total day being fully drenched or submerged in the water”, said the Swedish actress. However, the suffering Vikander’s character will be going through in this Tomb Raider reboot is to be expected taking into account this movie is based on the 2013 video game Tomb Raider, in which protagonist Lara Croft also goes through several punishing ordeals before becoming the action heroine we know and love. The stress of shooting an action flick likely was a new thing for Vikander, saying in the interview that “I have mostly done dramas and indie films in my career but I don’t know how many times I’ve watched big adventure films like Indiana Jones or The Mummy”. And playing this action role was the fulfilment of a childhood dream, as the Swedish actress herself admitted. If one thing is clear, though, is that this Tomb Raider reboot is one of the most eagerly anticipated movies coming out next year, both by fans of the video games and those who enjoyed the earlier films starring superstar Angelina Jolie. And hopefully Alicia Vikander will get to shine in this one like her Hollywood counterpart did more than a decade ago when Tomb Raider opens in theatres in early 2018.